We are absolutely delighted to announce that we are partnering with Brown Thomas to launch the Brown Thomas Children’s Book Club! Over the course of the next three months, Little Island Books and Brown Thomas will invite book fans of all ages to attend our ‘meet the author’ sessions, which will include a 45-minute chat with and reading session by one of our amazing authors, followed by a Q+A session and a personalised book signing. This free book club will take place on the last Sunday of every month at 2pm in Brown Thomas Cork, from April to June 2019. 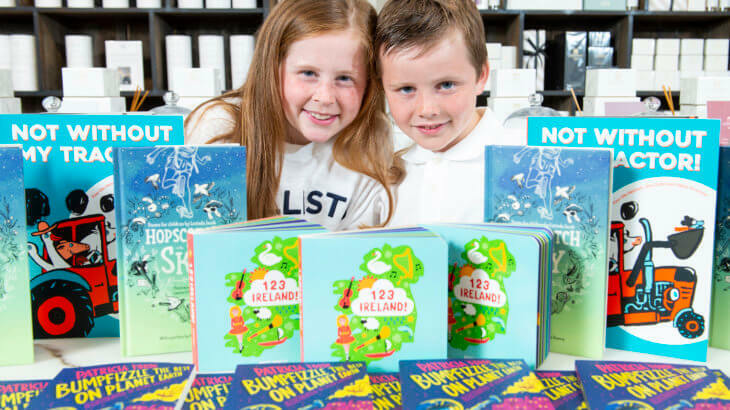 As part of the Brown Thomas Children’s Book Club, we will be presenting an exclusive preview of two of our great new children’s books- 123 Ireland! (for age 1+) by comedian Aoife Dooley and Not Without My Tractor! (for age 5+) by Finn-Ole Heinrich, Dita Zipfel and Halina Kirschner, which is translated by our very own Sióbhan Parkinson. You will be given a sneak-peek of these wonderful new books on Sunday 28th April 2019 at 2pm in Brown Thomas Cork, where Aoife Dooley will be showcasing and reading from her brand new book! Little Islanders Sióbhan Parkinson and Gráinne Clear will be on hand to provide book recommendations if any young bookworms are looking for their next read. “We are delighted to welcome book fans of all ages to attend our exclusive sneak peak of two new wonderful books published by Little Island Books. 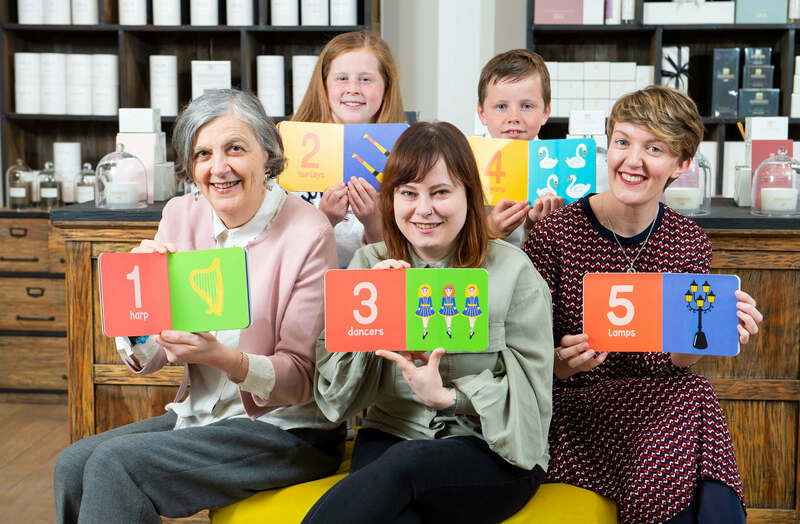 It is very exciting to have such established children’s authors and publishers from Little Island in-house and we have no doubt that both children and young adults will thoroughly enjoy having the unique opportunity to interact with these authors first hand.” says Karen Galligan, General Manager of Brown Thomas Cork. “Little Island are so proud of every book we publish, whether it’s for a new baby or a teenager, and we are delighted to have a new opportunity to bring these books and their authors direct to young readers. There’s nothing like the experience of meeting a writer or an illustrator to ignite excitement and passion about reading – and to inspire some young writers and artists to think about making their own books in the future! We are very excited to have this opportunity to work with Brown Thomas nationwide and thank them for their support of Irish publishing as well as helping to inspire a love of books in Ireland’s youngest readers,” says our publishing manager and Art Director, Gráinne Clear. Along with Brown Thomas, we have an outstanding group of our children’s authors taking part in this book club including Aoife Dooley, author of 123 Ireland! (for age 1+) Patricia Forde, author of Bumpfizzle the Best on Planet Earth (for age 8-10), Rob Maguire, author of Dr Hibernica Finch’s Compelling Compendium of Irish Animals (for age 5-8), our very own Sióbhan Parkinson, publisher and author of Rocking the System (for age 11-12) and Gráinne Clear, publisher and Art Director of Little Island Books.